Heart disease such as heart attacks, coronary heart disease, angina, and congestive heart failure, is the leading cause of death among seniors accounting for one third of all deaths among seniors since 1999. Heart attacks and angina (which is a common symptom of coronary heart disease) are the most common forms of this chronic condition. Heart attacks occurs when the artery carrying blood to the heart is totally blocked, therefore completely cutting off the oxygenated blood supply to a small section of the heart muscle. As a result, the heart muscle dies. Angina on the other hand is pain caused by insufficient oxygen supply reaching the heart muscle as a result of a plaque build-up in the artery carrying the blood to the heart. There are two types of angina, stable and unstable. 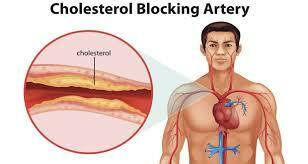 Stable angina is chest pain that has been present at least two months and does not occur at rest. There is no change in its frequency or duration. Unstable angina however, may occur even when a person is resting and it changes in frequency and duration. It is the worst of the two as it is an indication of the critical condition of the heart and requires immediate medical attention. Medication and medical treatments that help unclog the artery to prevent heart disease are available, however the best way to prevent it is by changing the lifestyle. Quitting smoking, avoiding obesity, staying active, controlling cholesterol levels and blood pressure are all ways to prevent heart disease.